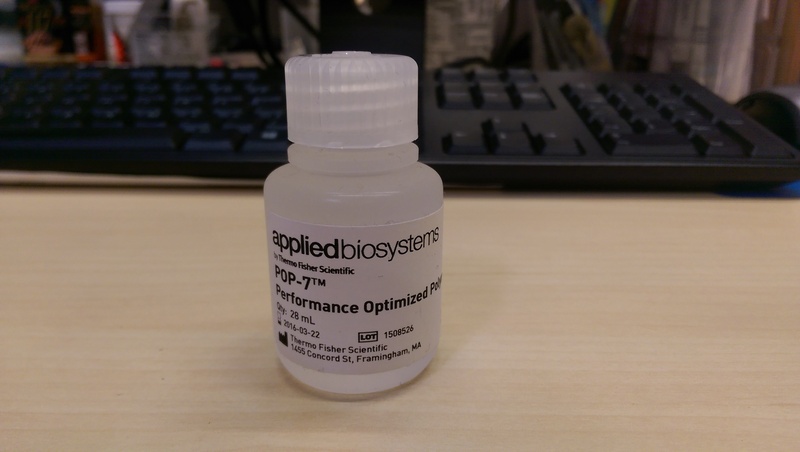 How Often Should You Change the Polymer on your Genetic Analyzers? They say that it’s all about the little things in life that make a big difference. Although “they” were probably referring to things like compliments or ice cream cones. Instead, we’re referring to changing out the polymer for your 310, 3100, 3130 and 3730 machines. The general lifespan of fresh polymer is about two to four weeks, depending on the environment. If the ambient temperature is controlled properly, the lifespan should expand to about three to four weeks. If you don’t replace your polymer regularly, you’ll be risking poor data quality and errors with the electrophoresis current. Estimating the right volume with which to fill your capillary can be tricky. The truth is, you should fill it depending on how much polymer your lab goes through in a given week. For some of our larger clients, we’ve heard that it is necessary to use about half a bottle every two weeks. And make sure to save your old bottles! You can reuse these after you’ve cleaned them. If you are noticing a blue background in your sequencing or fragment analysis data, this could be caused by contamination within the pump, buffer or water. Washing with warm water three times, and changing out the buffer and water when the washes are complete will usually resolve this issue. We hope that this will help to keep this little thing in your life running smoothly. As always, SeqGen is here to help. If you have any questions or problems, feel free to give us a call! 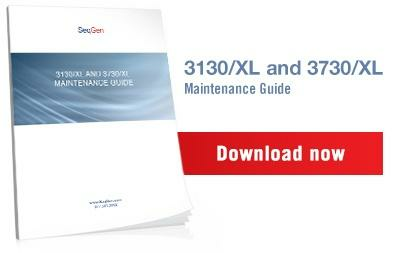 In the meantime, if you're looking for the latest and greatest troubleshooting tips for your 3130/xl or 3730/xl, download our complete maintenance guide today. This is your playbook when it comes to keeping your equipment running like an ox for many years to come.